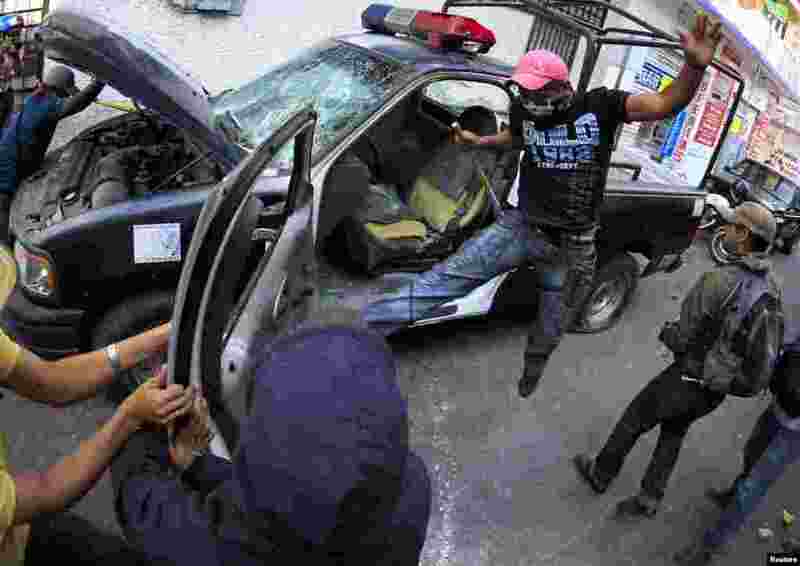 5 Demonstrators destroy a police patrol vehicle during a protest by relatives of the 43 missing students from the Ayotzinapa Teacher Training College outside the federal court in Chilpancingo, in the Mexican state of Guerrero, Jan. 19, 2015. The protest was held to urge the federal court to bring charges of disappearance and murder against the former mayor of Iguala, Jose Luis Abarca, and his wife Maria de los Angeles Pineda Villa, for the massacre of the 43 Ayotzinapa Teacher Training College students in Sept. 2014. 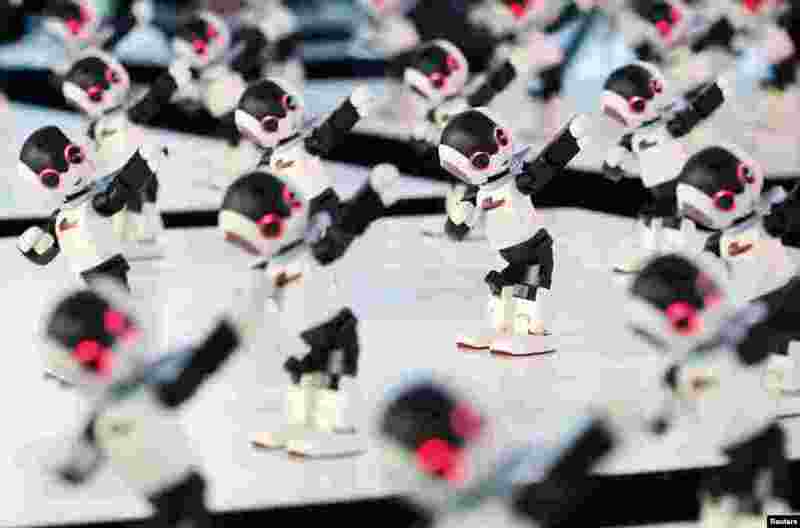 6 A hundred humanoid communication robots called Robi perform a synchronized dance during a promotional event called 100 Robi, for the weekly Robi magazine, in Tokyo, Japan. 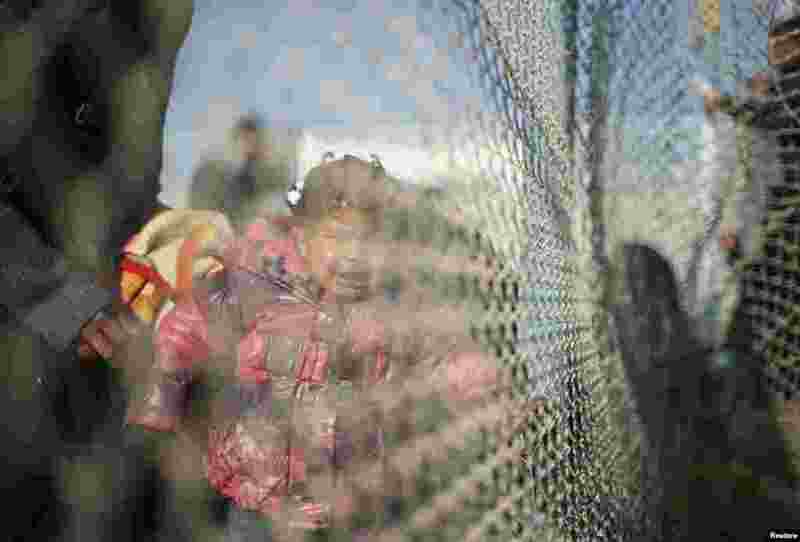 7 A Palestinian girl, hoping to cross into Egypt with her family, cries as she stands behind a fence at the Rafah crossing between Egypt and the southern Gaza Strip. 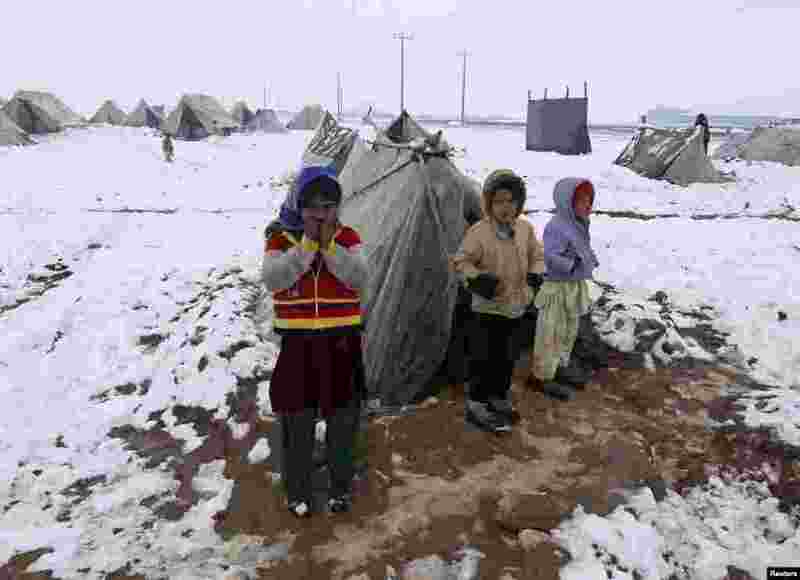 8 Internally displaced Afghan children stand outside their shelter in the cold at a refugee camp on the outskirts of Herat city.